For years now, the number of mobile phone users has been steadily rising, reaching a total of roughly 4.57 billion people in 2018. As expected, this trend has opened up new opportunities for businesses, big and small, to expand their operations and reach more customers than ever before. When it comes to law firms, in particular, this trend translates to a pay per call legal advice service. Either as a core feature of your legal practice or as a means to complement your already-established business, pay per call services will allow you to counsel clients directly over the phone, without them having to come into your office for legal advice. It will free you up to set your hours and work from everywhere, all the while getting paid for your services. How Does Pay Per Call Work? In short, Pay Per Call is an easy and straightforward service that involves one or more dedicated phone lines (landline and/or mobile) where customers can call you for legal advice, instead of them having to come into your office, personally. The beauty of this service is that it doesn’t require any specialized equipment to work (other than a functioning phone,) and it only takes 24 hours to set up, guaranteed. Callers will dial up your pay per click line, will listen to your custom greeting, after which they will provide their credit or debit card information. Once their authenticity is confirmed, the caller will be redirected to you or one of your operators. After every call, you will get paid either by direct deposit or check. There are three types of billing plan, depending on how you want to approach the issue. You can opt for a Per Minute or Flat Rate plan, or you can go for a customized mix of both flat rate and per minute. 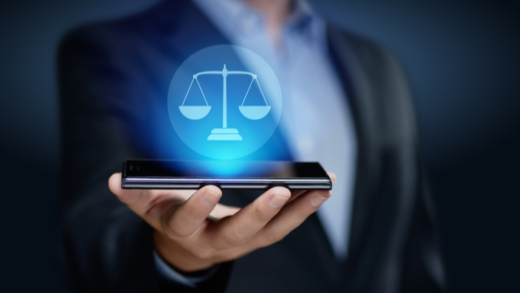 As we’ve said before, setting up a legal advice pay per call service will grant you the possibility of setting your hours and conduct your business from basically anywhere there’s a phone connection. It is, of course, possible as long as you don’t already have a dedicated office where you conduct your business, in which case your pay per call service will provide you with an additional stream of revenue. Some clients will benefit from the convenience of not having to come to your office directly. And when your business is no longer exclusive to your local area, it means that you now have access to a nationwide market. Regarding operation scalability, focusing on your pay per call service instead of a traditional expansion, the investment is minimal, requiring only extra PayPerCall lines, and no extra office space or additional equipment. Promoting this service is almost equally as easy as setting it up. Most people today appreciate the convenience and flexibility that modern technology provides. They will be more than willing to use this service as long as it doesn’t require them to make the extra effort of leaving their homes. With a bit of social media and email marketing, you will be able to build your clientele and expand your reach even further. To summarize, PayPerCall services for your legal practice means more flexibility, more clients, and more streams of revenue without having to pay an arm and a leg. The service is easy to install and use, and you are compensated after every call received. If you want to start your PayPerCall service, do not hesitate to contact us directly.